Pioneers in the industry, we offer plain ring gauge and thread limit gauges from India. We are engaged in manufacturing Fixed Limit Gauge which is renowned for its effectual working among our valued clients. High quality of raw material is used in the production of our limit gauges. It comprises of best alloy steel like OHNS and EN-31, hardened to 58-60 HRC and duly sub-zero treated at -80ºC for long-term dimensional stability. 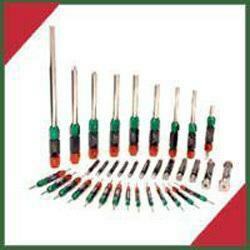 It is manufactured in compliance of required standards and can be easily Customized as per client requirement. Millennium Machine Works can supply Customer specific Thread Limit Gauges in a wide range. These can be designed to check a single distance, length or diameter, or may serve the inspection of multiple dimensions. 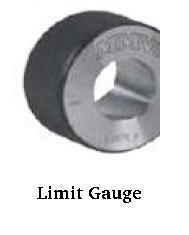 Looking for Limit Gauge ?